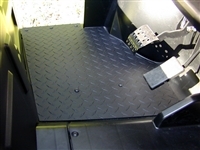 WhoMoto carries a wide selection of accessories for your UTV (side by sides). Whether you have a Polaris Ranger and want a full cab enclosure or a Yamaha Viking VI and just want a window, we’ve got you covered. Our main goal is not only to provide a wide range of side by side accessories to our customers but also to ensure that products satisfy your specific needs for UTV operation and you have the best quality experience. Along with the selection of quality aftermarket brands such as Ricochet Offroad, Extreme Metal Products, Kolpin, and more, WhoMoto also manufactures our own line of UTV accessories, with features and durability no one else has. Click on the manufacturer of your UTV below to find the best accessories available for your Yamaha Viking, Polaris Ranger, Honda Pioneer, and more! 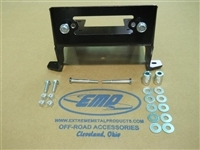 This mounting plate enables you to easily add a winch to the front of your Kawasaki Mule PRO FX or FXT.